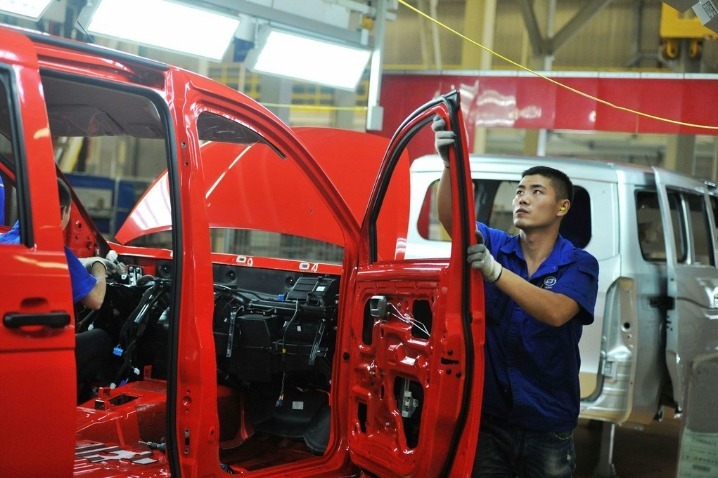 Shanghai has been getting into the spirit of China's Year of the Pig, which starts early next month. 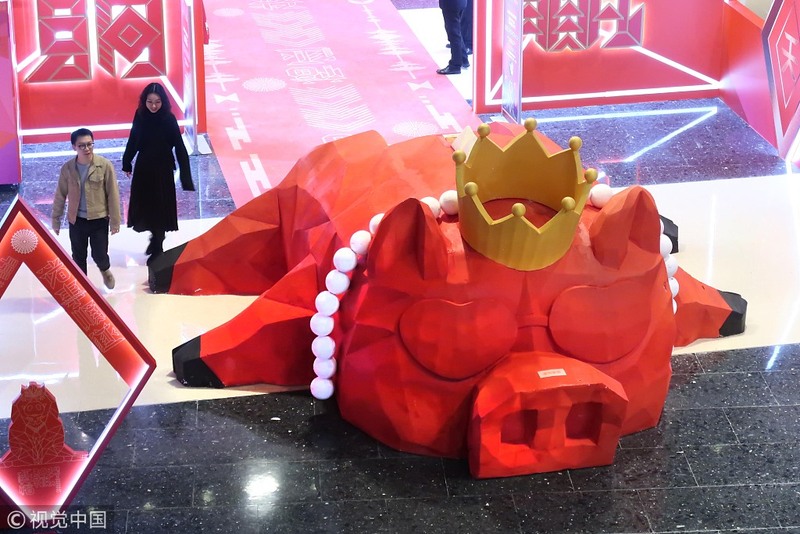 In this photo taken on Tuesday, January 22, 2019, a red pig bearing a crown lies on the ground with its eyes closed at a shopping mall in Shanghai. 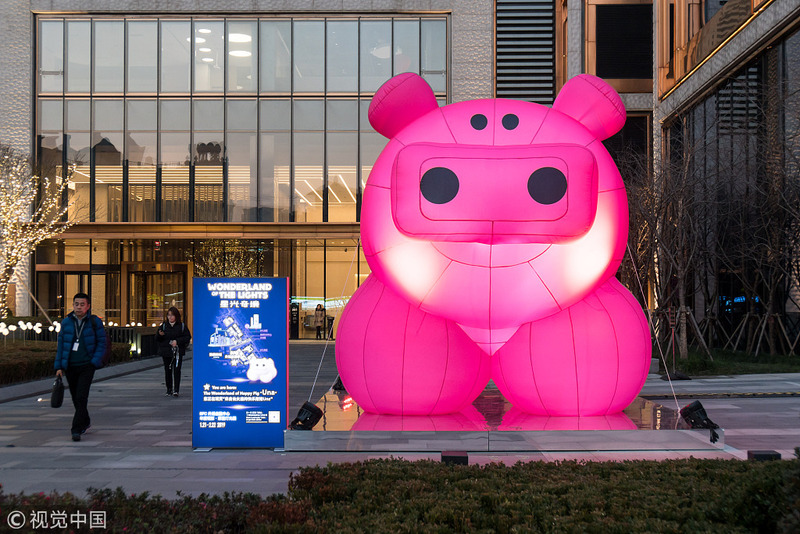 [Photo: VCG]"
A four-meter-high pig-shaped lantern at the entrance to a building in Shanghai on Tuesday, January 22, 2019. 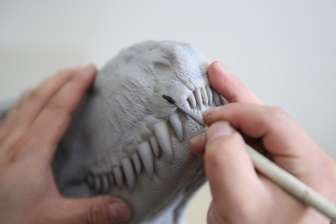 The lantern of part of an ongoing light show. 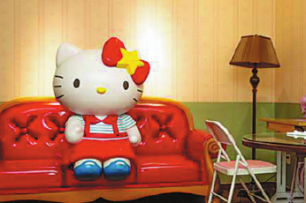 [Photo: VCG]"
Peppa Pig, possibly the most famous pig in China, was photographed at a pop-up store in Shanghai on Tuesday, January 22, 2019. 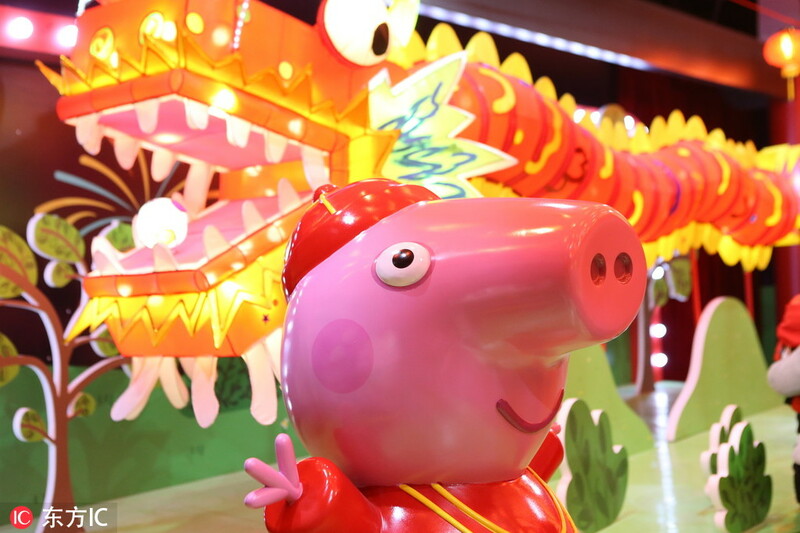 The pop-up store, set-up ahead of the release of the new film "Peppa Celebrates Chinese New Year", has captured the attention of many shoppers. 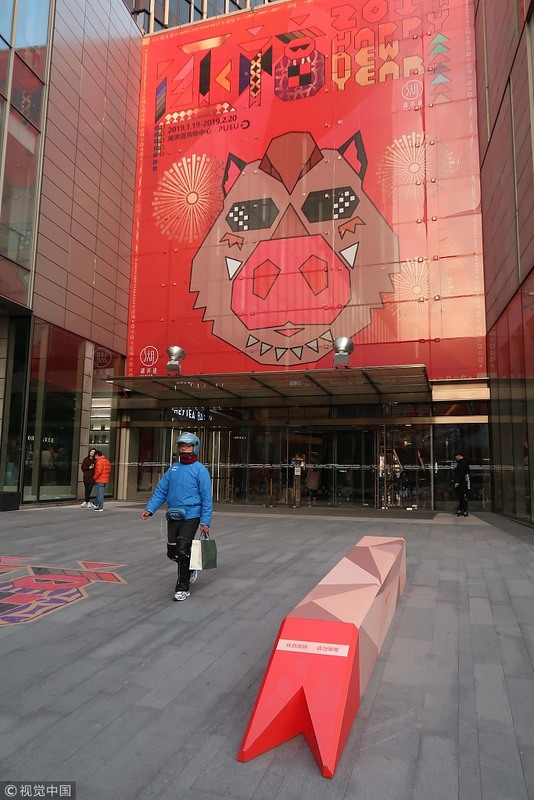 [Photo: IC]"
A poster showing a "pig boss" wearing sunglasses and hanging out at a shopping mall in Shanghai on Tuesday, January 22, 2019. 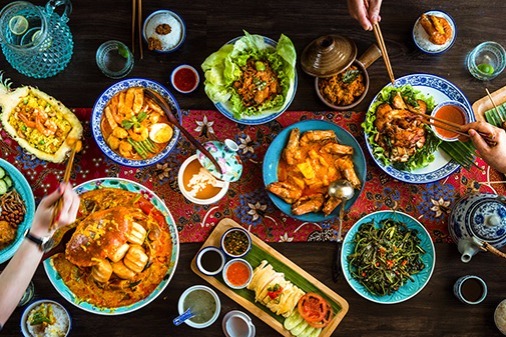 [Photo: VCG]"